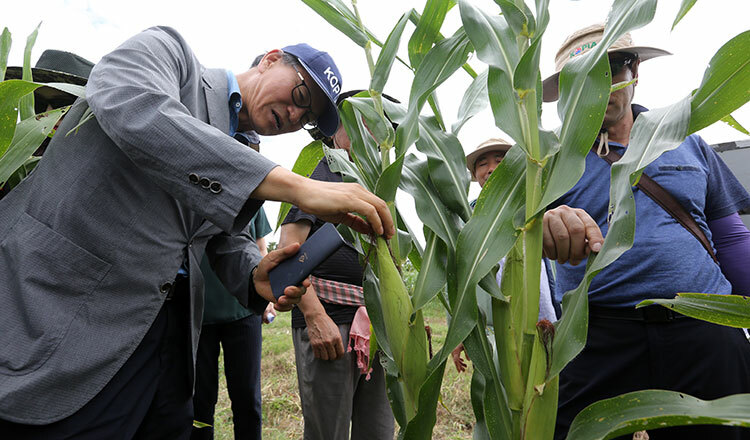 Dr Kim Yong Hwan is the director of the Korea Programme on International Agriculture (Kopia), a project that has enabled the development of Cambodia’s first hybrid silkworm and maize varieties. Khmer Times’ Sok Chan sits down with him to discuss the programme’s milestones in the Kingdom since it was set up in 2010, as well as their plans for the future. KT: Can you tell me more about Kopia, and its role in supporting the development of Cambodia’s agriculture sector? 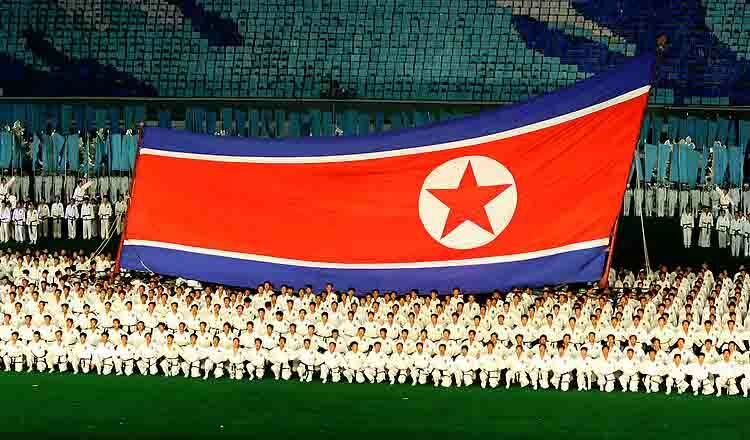 Dr Kim: Kopia set up a branch in Cambodia in 2010. We are implementing various agricultural technology projects for cooperatives with the help of partner institutions. The goal is to develop customised agricultural technology in each partner country. We are also focusing on the human capital and capacity building. For example, we have sent more than 150 Cambodian farmers to Korea for agriculture training, and in September we are going to send 10 more. KT: What have been your most notable achievements in the Kingdom? Dr Kim: We have a close relationship with the Cambodian government, especially with the Ministry of Agriculture, Forestry and Fisheries. As far as concrete results, I can tell you that we have published a guide for chicken farming and another one on pests and beneficial insects that inhabit cruciferous vegetables. We have successfully assisted Cambodia in releasing a new hybrid silkworm and a new hybrid corn variety, which I believe will usher in a new era for Cambodian farmers. As you know, currently most corn varieties are imported from Thailand and Vietnam, so it is important to reduce the country’s reliance on imports by creating our own varieties. KT: Could you tell us more about the new agricultural hybrids? 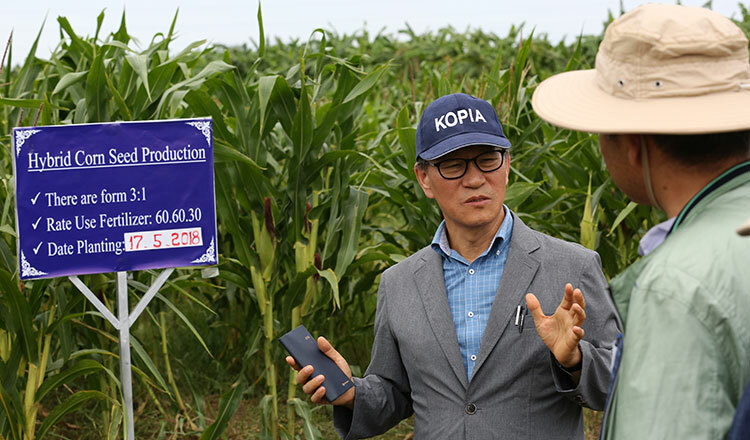 Dr Kim: The project to create a local maize variety was started in 2014 as a cooperation between Kopia and the General Directorate of Agriculture. The result was a hybrid corn variety known as ‘BNT-5666.’ This variety yields 8.9 tonnes per hectare, which makes it 3.4 percent more productive than Thailand’s Pacific-999 and 62 percent more than Vietnam’s LVN-10. In addition, it is resistant to downy mildew disease. 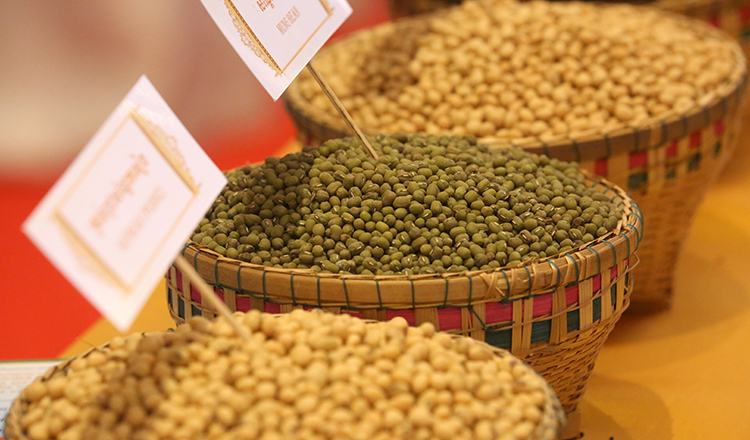 Simultaneously, Kopia and GDA have worked together to breed a new hybrid variety of silkworm. The main purpose of the project is to boost the quality of cocoons by crossing Gumokjam, a Korean high yielding variety, with Golden Silk, which is a local variety with lower yields. The resulting silkworm, named ‘CK1.7.4,’ was able to yield 11.8 kilograms of white cocoon per each 10,000 silkworms, and thrives in the Cambodian climate. KT: What have been other major achievements for your organisation in the last eight years in the Kingdom? Dr Kim: We are also working on developing the production technology for potatoes, because this plant has never been grown in Cambodia. All the potatoes here are imported from overseas. As far as I’m concerned, more than 5,000 tonnes of potatoes are imported from overseas every year, mainly from Vietnam and China, but sometimes also from Australia and Japan. We therefore would really like to develop the technology in Cambodia. We initiated a pilot programme in Pursat, Battambang and Mondulkiri provinces. The Royal University of Agriculture is developing the technology with farmers in Mondulkiri, and we are supporting them by training professors in Korea and by bringing Korean experts to the country. We also developed a more efficient chicken farming technology and helped Cambodian farmers adopt it. The project has been running for over three years, and we have helped increased local farmers’ incomes. For the next two years, we will focus on supporting those farmers involved in the programme. KT: How much money has Kopia invested to aid the government’s agricultural projects? Dr Kim: Last year, it was more than $700,000. However, most projects will finish this year, so I am now designing new projects that will be eventually submitted to the Rural Development Administration of Korea for approval. For these new projects, I am working in close cooperation with government officials and researchers. A priority area will be investing in technology that can raise farmers’ incomes and improve crops. As you may know, after rice is harvested, most fields are left idle, without any crops planted. We would like to develop a mechanism to solve this issue, which entails figuring out the right crops for local soil and climate conditions. I am now on talks with the Cambodian Agricultural Research and Development Institute (Cardi) to use mung beans for this project. Next year, we would also like to help GDA register the new hybrid corn variety. Before this happens, however, we will need to test some more the new variety, including its adoptability to the Cambodian environment. We would like to support these tests. KT: How will the local agriculture sector develop in years to come? What are the challenges and opportunities? Dr Kim: First of all, Cambodia has great access to all sorts of advanced technology from around the world due to its great location in the heart of Asean. This will prove invaluable as Cambodians build the infrastructure they need to sustain the sector. To continue on the path of rapid development, Cambodia needs very strong leadership. As other sectors, particularly industry and services, expand, growth in more traditional industries like agriculture will slow down, and we need to prepare for this. We need to acquire the technology that will help us overcome difficulties and boost the sector. We need to build the skills of the young generations that will join the labour market in the near future, as well as those of the leaders and government officials that are drafting the strategies that will guide the development of the sector. To do all this right, we need to look in the direction of more developed economies like Korea. Japan’s population is both aging and declining at a faster rate than any other in the world.